Back in 1963, researchers found that substituting while bread with bread containing 140 grams of rolled oats lowered LDL cholesterol. Now a meta-analysis of 58 controlled trials published online in the British Journal of Nutrition attempts to get more specific on the cardiovascular benefits of eating oat fiber. Analyzing the diets of 4,000 subjects from around the world, researchers estimated that daily supplementation with 3.5 grams of beta-glucan fiber from oat could lower LDL cholesterol by an average of 4.2%. Working some into your diet isn’t likely to tip the scale too much. One cup of cooked oat bran amounts to just 88 calories. Insulin sensitivity is a condition where insulin can’t effectively regulate blood levels of the glucose the cells in your body use for energy and other functions. Since a couple hours of moderate intensity exercise actually increase blood sugar levels, a University of Michigan study published in the journal PLOS ONE looks into the impact of diet. Low levels of testosterone can lead to fatigue as well as decreased muscle and bone mass. Fortunately, your body’s natural production of this hormone can be altered through diet and exercise. A study presented at the Integrative Biology of Exercise 7 meeting in Phoenix, Arizona measured the effect of 12 weeks of aerobic exercise on 16 normal eight and 28 overweight men. Researchers had subjects walk or jog for between 40 and 60 minutes per session performed 1 to 3 days per week. At the end of the program, overweight subjects had lost weight and significantly increased testosterone levels. Results were best in subjects who exercised vigorously. Normal weight subjects did not see such a dramatic testosterone increase. How Much Protein Should You Consume Post-Workout? 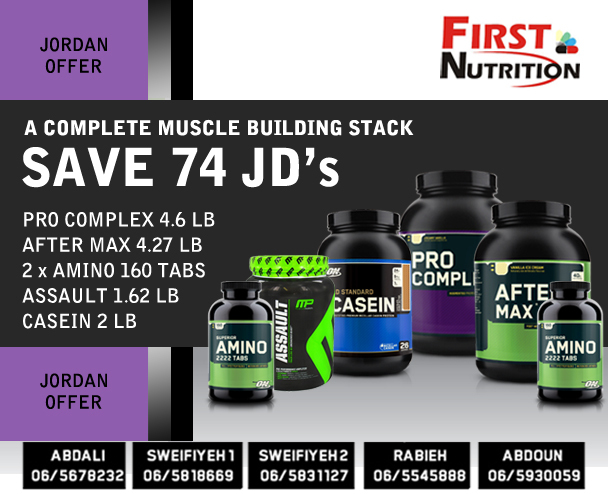 New research reveals just how much protein you need after a workout to optimize muscle building. The conundrum surrounding post-workout nutrition isn’t so much about what to eat as much as how much to eat. You and I both know protein needs to be a priority following a workout, but the jury is still out on how much protein is needed to maximize muscle growth and repair. Fortunately, new research has shed some light on the matter. A study published in Physiology Reports sought to determine the impact of two different post-workout protein portions following exercise. Furthermore, it also sought to determine how varying amounts of protein post-workout influenced individuals with significantly different amounts of lean body mass. 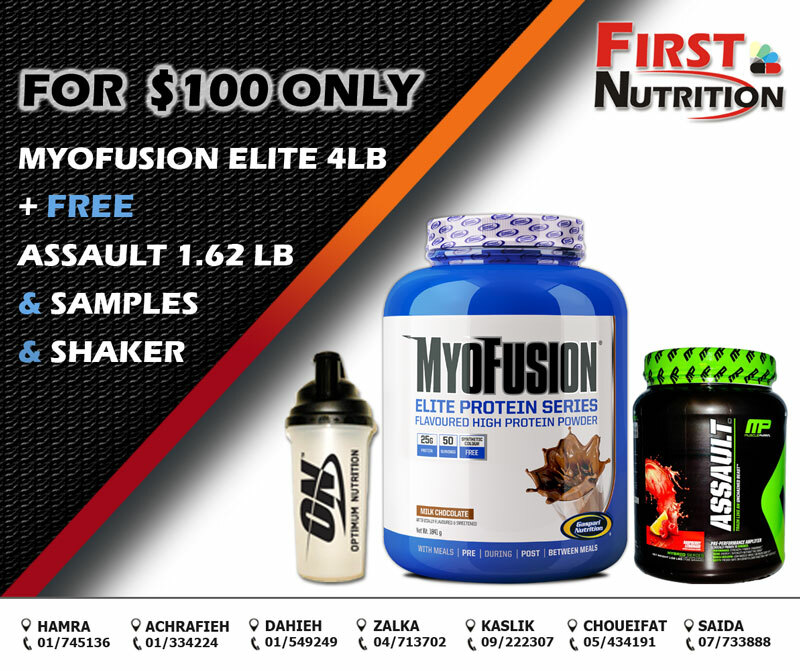 Each group received their protein following two total-body workouts. 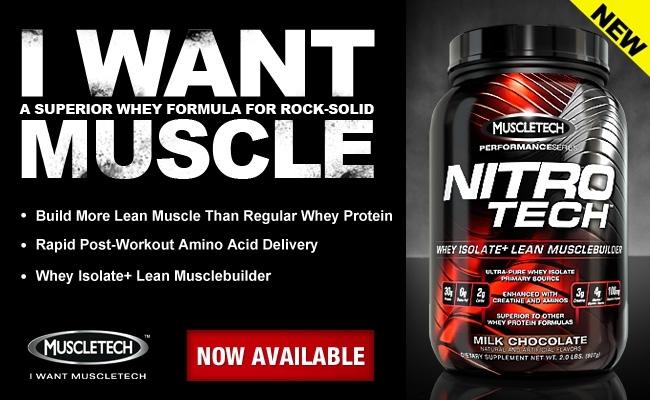 Researchers observed a 20 percent greater uptick in post-training muscle-protein synthesis in subjects consuming 40 grams of whey protein compared to those consuming 20 grams. What didn’t make much difference was whether the subjects had low or high lean body mass. As long as they had the higher amount of protein, they tended to experience a greater degree of muscle- protein synthesis. Although this study was small and the first of its kind, the results suggest that striving to consume 40 grams of protein post-workout is the way to go if you want to add muscle, regardless of your size. The authors speculate that this is especially true if you follow a total-body training style. That’s because more muscle breakdown is occurring throughout the body compared to a single-body-part split. “Speculate” is the operative word, though. Single-body-part splits were not included in this study. Rather than having to face two monstrous chicken breasts after your workout, consider one of these seven muscle-building meal combinations to meet your post-workout protein quota! Macnaughton, L. S., Wardle, S. L., Witard, O. C., McGlory, C., Hamilton, D. L., Jeromson, S., … & Tipton, K. D. (2016). 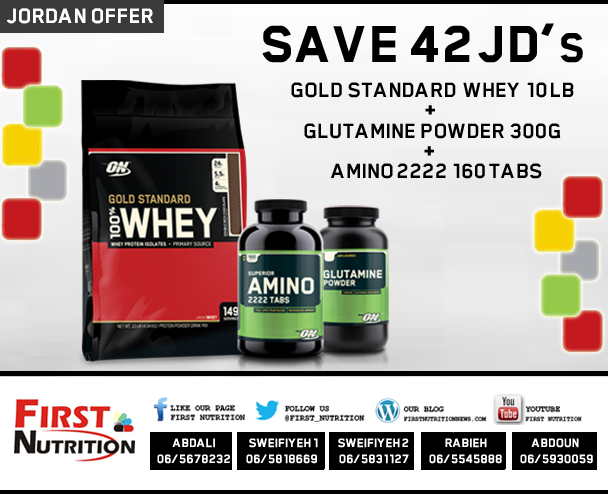 The response of muscle protein synthesis following whole‐body resistance exercise is greater following 40 g than 20 g of ingested whey protein. Physiological Reports, 4(15), e12893. You can sprint intervals, cycle in intervals, even incorporate resistance into your interval training. For those who want to try something new and different, a study published in the Journal of Sports and Conditioning Research looks at what you can achieve from interval training in an Olympic sized pool. Scientists assigned 24 former competitive swimmers to swim freestyle intervals at 50 meter or 100 meter distances. The 50 meter swimmers did 12 to 16 bouts with 15 seconds of rest between each. The 100 meter swimmers did 6 to 8 bouts and got 30 seconds in between. After 8 weeks of training, both interval distances improved 100 meter and 400 meter swimming performance with increased stroke length and greater maximal aerobic speed. There were no significant differences between groups, and 50 meter sprint times remained unchanged. Back in 1953, researchers discovered that London bus drivers had a greater risk of developing cardiovascular disease than conductors working the same bus. It was the difference between sitting all day and moving around. A new study published in The Lancet looks into the level of exercise needed to negate the effects of driving to work and sitting at a desk 8 hours a day. Scientists analyzed 16 studies involving more than 1 million adult subjects and grouped them by level of daily exercise. They found that 60 to 75 minutes of moderate intensity exercise per day was enough to make up for the risk created by being inactive for more than 8 hours a day. Got a busy day ahead of you? Fuel up with a healthy breakfast and make sure you get a fair share of protein. A study on obese and normal weight children published in The Journal of Nutrition suggests protein at breakfast can increase both energy expenditure and fat oxidation. Some subjects were fed a breakfast with a macro-nutrient distribution of 21% protein, 52% carbohydrates and 29% fat while others sat down to a meal of 4% protein, 67% carbohydrates and 29% fat. The average rate of fat oxidation for all subjects was 16% higher with the high-protein breakfast, and overweight children burned more energy in the 4 hours following the high-protein meal. True Strength Moment: Because approximately 1 out of 3 children between the ages of 2 and 19 are considered obese, this is important research. Subjects also reported a greater feeling of fullness after the high-protein breakfast, even though all subjects consumed about the same amount of food at a buffet later in the day. When training for muscle gain we push our bodies to places they haven’t been before. The structure of our routine changes – weights increase and the intensity of workouts increases too. We understand that in order to build muscle and size we must create a stimulus that challenges us, causing our muscle fibres to breakdown, repair and adapt (grow). Training within our comfort zone will only allow us to maintain our existing level of strength and fitness. By placing more demand on our bodies, it becomes paramount that we are eating the correct foods and taking the right supplements to promote the process of recovery. 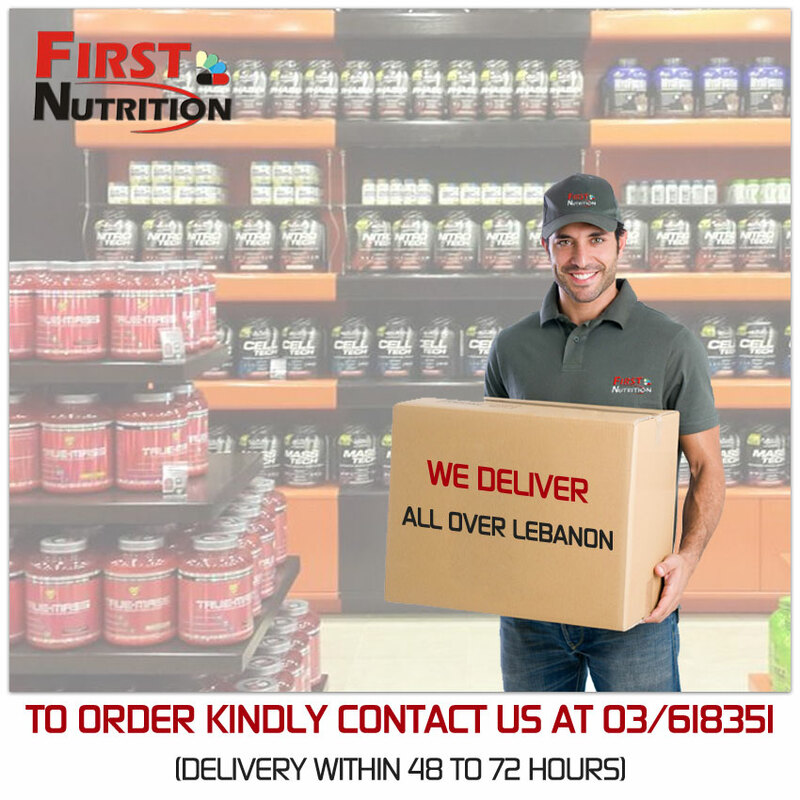 We deliver anywhere in Lebanon. 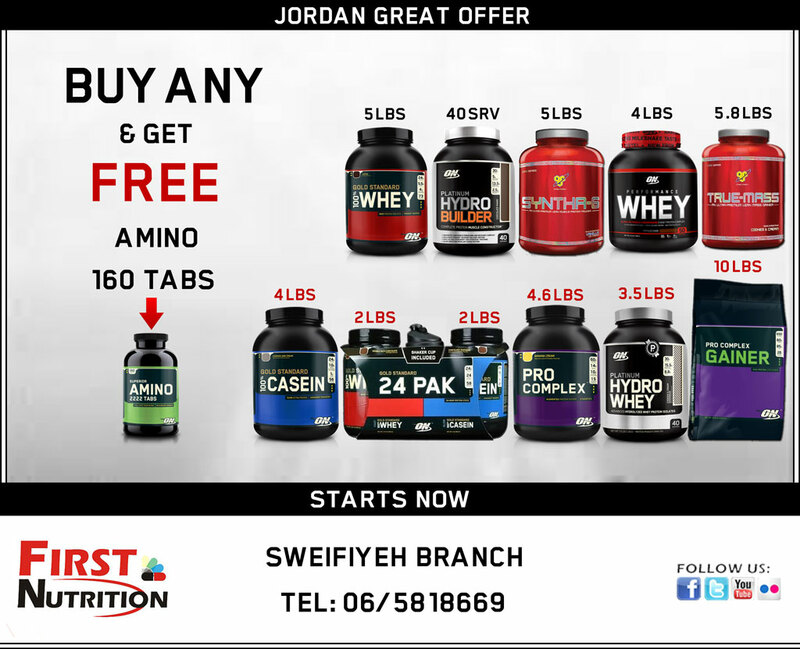 All your favorite products & offers are now within your reach. Consuming a lot of white bread, white rice and sugar sweetened soft drinks can go to your waistline, and research from Columbia University Medical Center suggests it can also weigh heavily on your mood. Analyzing data from 70,000 older women who participated in the National Institutes of Health Women’s Health Initiative Observational Study between 1994 and 1998, researchers found that consuming highly processed carbohydrates can elevate the risk of depression. Most active adults supplement creatine to build muscle size, strength and power. Numerous studies have shown creatine monohydrate to support these goals, and research recently published in the journal Medicine & Science in Sports & Exercisesuggests the ingredient might also support bone mineral density in older adults. Forty-seven older women supplemented with 0.1 gram of creatine per kg of body weight or a placebo while training with weights 3 days each week. After a year, subjects who used creatine showed a reduced rate of lost bone mineral density and greater bone bending strength compared to placebo. In addition to improved bone health, subjects who supplemented with creatine increased bench press strength by an average of 64% compared to 34% for subjects who were given a placebo. 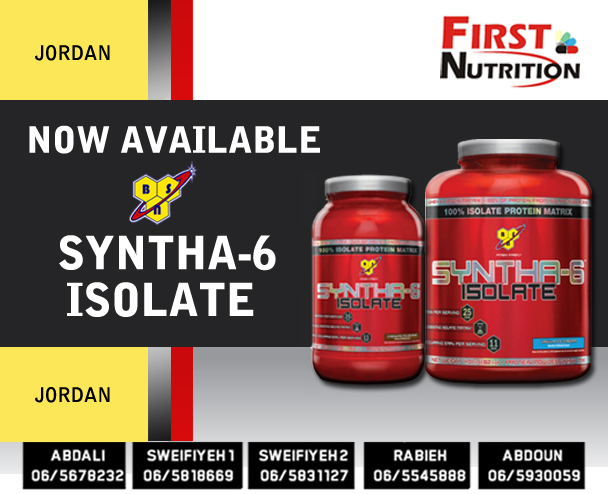 Carnitine is synthesized from the amino acids lysine and methionine. Many active adults use it in supplemental form, but its impact on exercise performance isn’t well understood. Research published in the journal Cell Metabolism shows how this popular ingredient works with an enzyme called carnitine acetyltransferase, or CrAT, to increase muscle stamina in mice. Scientists created a group of mice with CrAT deficiency in skeletal muscle. Compared to normal rodents they tired of exercise earlier. 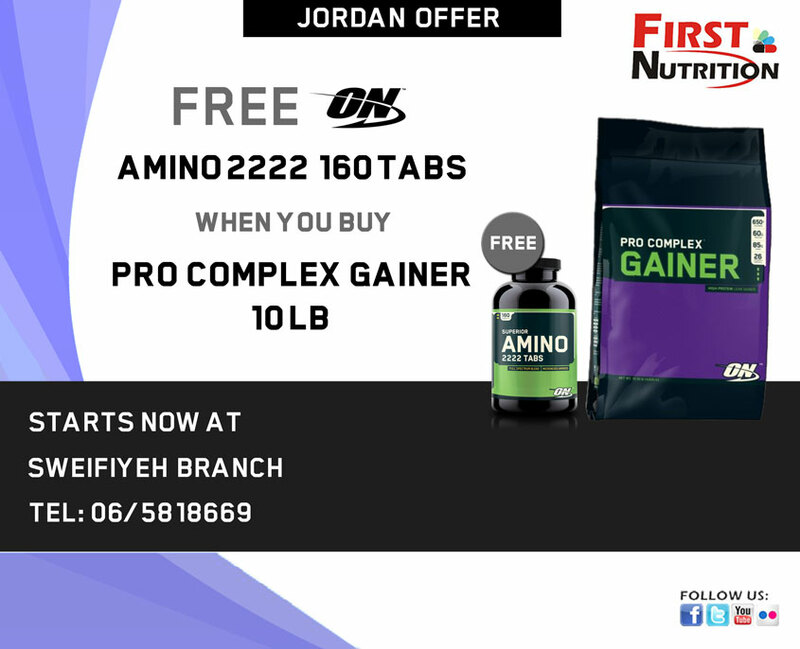 Then both groups were supplemented with carnitine. As expected, there was no change in the CrAT deficient mice. But the normal mice showed an even greater tolerance for exercise. 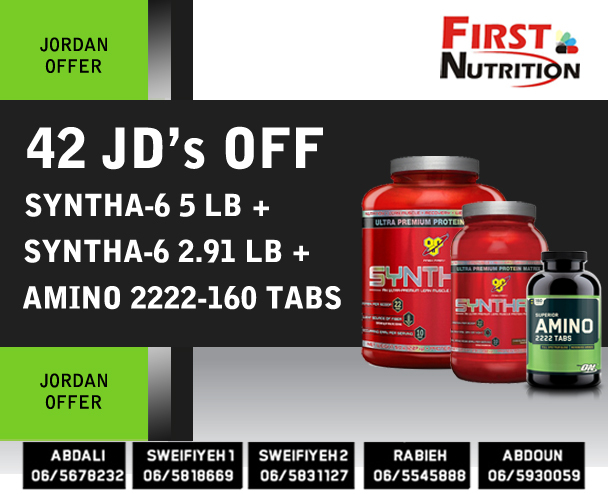 True Strength Moment: Researchers think that carnitine works with the CrAT enzyme to optimize muscle energy metabolism in mice. How or even if this mechanism works in a similar way for humans is unknown. DOES FASTED CARDIO BURN MORE BODY FAT? Doing cardio on an empty stomach, usually first thing in the morning, is supposed to help you burn more body fat than eating before your run, ride or swim. But is this scientific fact or just another popular gym myth? A study published in the Journal of the International Society of Sports Nutrition compared the effects on 20 young female subjects who adhered to a hypocaloric diet for a month. Half of these subjects put in an hour of steady state cardio exercise 3 days a week without eating since the previous evening. The other half eat breakfast before training. All adhered to a diet designed to burn more calories than consumed. At the end of the program, both groups lost weight and reduced fat mass. Conclusion: There were no significant differences between groups. As long as you’re cutting calories, having a small, balanced meal before training might outweigh the benefits of not eating first. Endurance runners aren’t a common sight in the weight room, and they typically don’t spend a lot of time working on sprinting speed, but a study published in the Journal of Applied Physiologysuggests a workout combining both elements might help improve race performance along with running economy. Half a group of 21 male runners continued on with their normal endurance training while the rest took part in an 8-week intervention that added 30-second sprints and heavy resistance training to their workouts. Twice a week they lifted weights at 80% to 90% of their one rep max (1RM) and twice a week they sprinted in blocks of 30 seconds while reducing the time they spent on traditional endurance work by 42%. After 4 weeks, the sprinting and weight training group cut around one and a half minutes off their 10K race time. There were no additional improvements in 10K performance after 8 weeks, but they did see quicker times in 1500 meter events. Compared to subjects who never changed their training, the experimental group finished about 15 seconds faster. True Strength Moment: Whether it’s more than a minute shaved off a 44-minute event or cutting 15 seconds off a 5-minute race, taking your training to a place where others don’t can make all the difference. 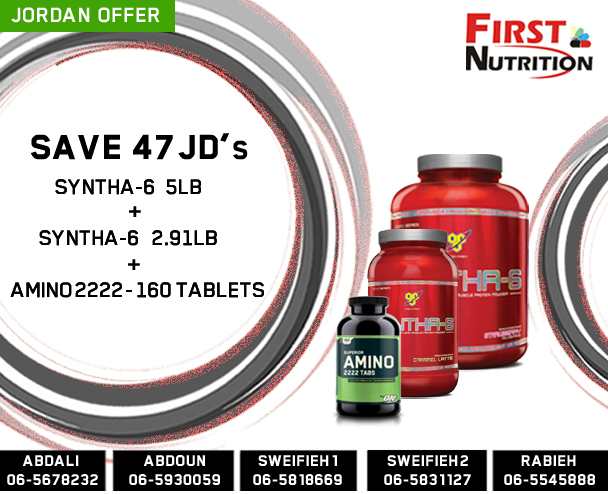 Why are EFAs important for muscle growth? 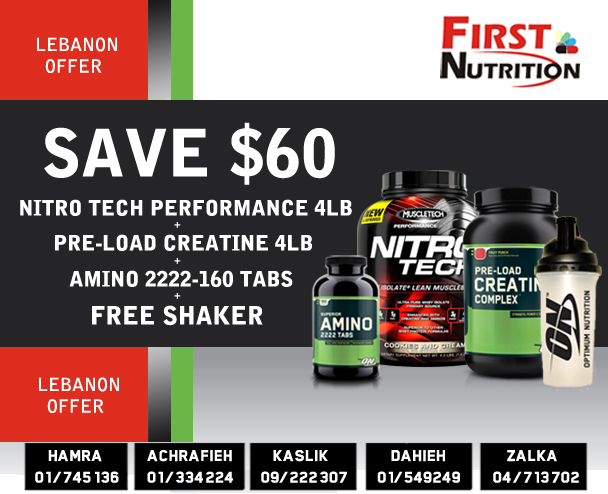 These functions are critical to achieving muscle growth during intensive training. 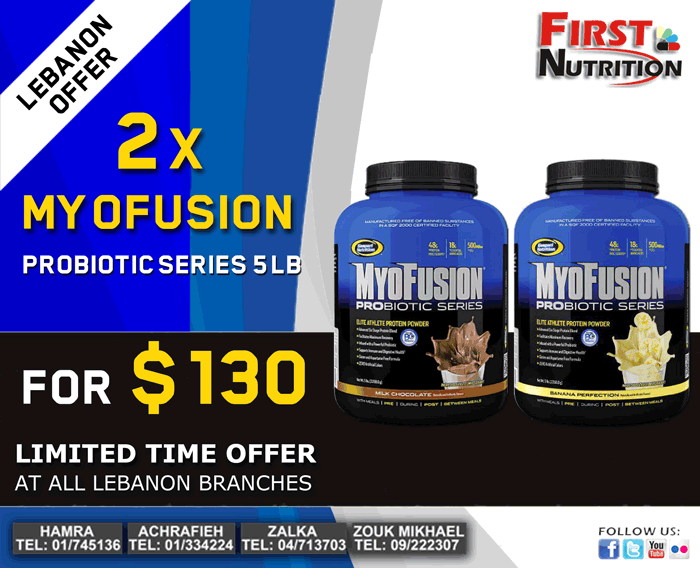 In addition, EFAs powerfully affect the formation of fat tissue and fat metabolism. All the Omega-3s increase the breakdown of body fat; they also encourage the body to burn stored fat as fuel. Beyond the immediately apparent effects on muscle growth and body composition, essential fatty acids help reduce inflammation, heal injuries, speed recovery and strengthen the immune system (important when engaging in repetitive movement with heavy weights and physical exertion that can weaken immunity); and improve sleep, concentration, stamina, increase blood-oxygen levels and improve cardiovascular function (all of which lead to more effective and intense workouts). Research shows that to maximize muscle growth, decrease body fat and improve general health, men may consume between 3 and 3.5 grams of EFAs from all sources (food and supplements) daily; women may consume between 2.5 and 3 grams from all sources daily. 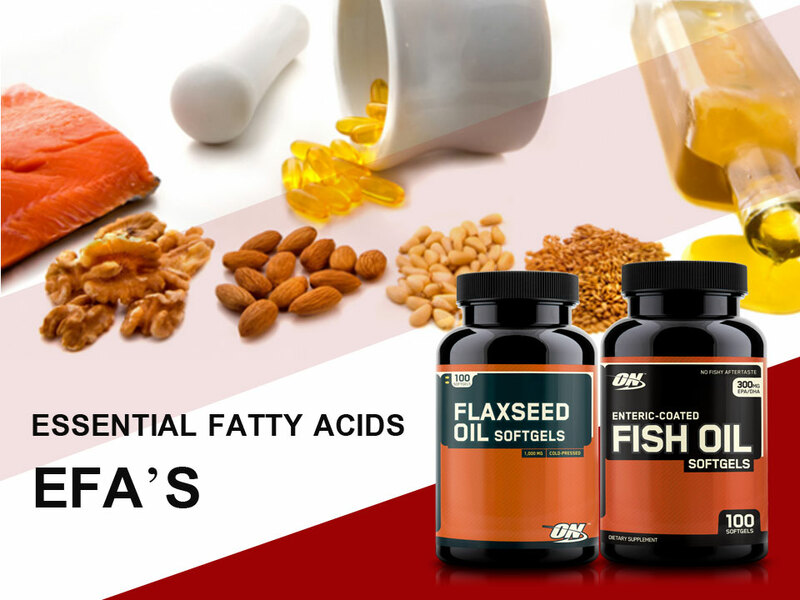 Essential fatty acids are found in foods and supplements. The downside of food sources is that many (fish and fully pastured – grass fed – cattle being exceptions) are higher in Omega-6 than Omega-3. Supplementing with Optimum Nutrition’s Flaxseed Oil or Fish Oil remains the easiest way to get your daily recommended value of EFA’s. 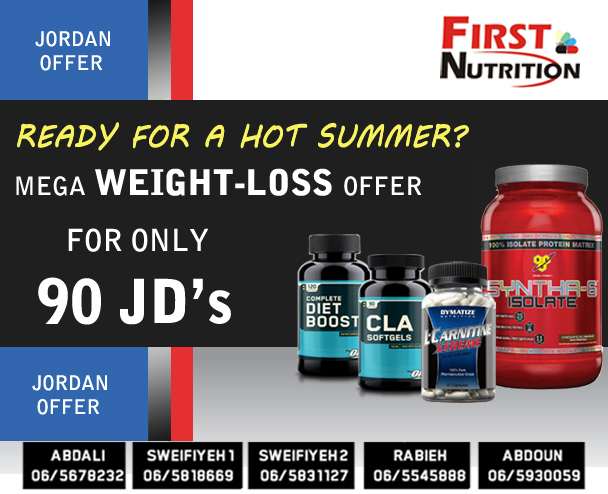 Ready For a Hot Summer ?? 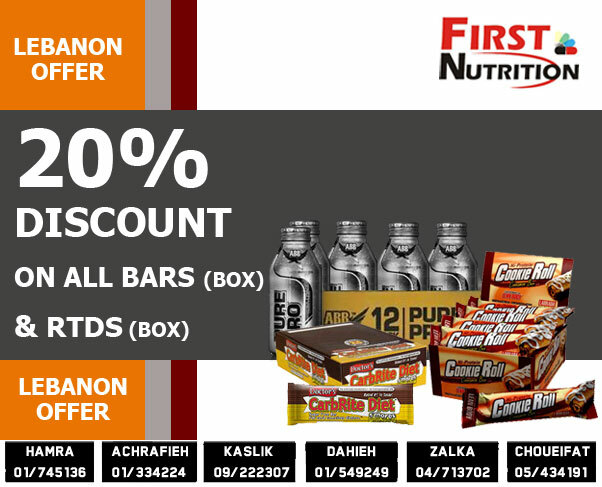 20% Discount on All Bars and RTDs. 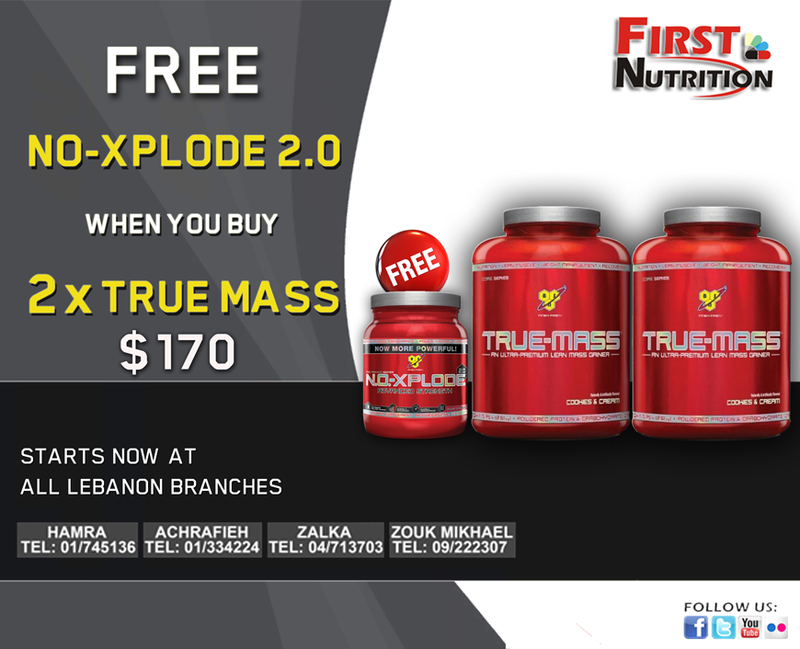 Offer Starts now in All Lebanon Branches. There are more than a few grams per pound and grams per kilogram protein recommendations out there for you to calculate. But an easier to hit target was presented in an education session at SupplySide West. 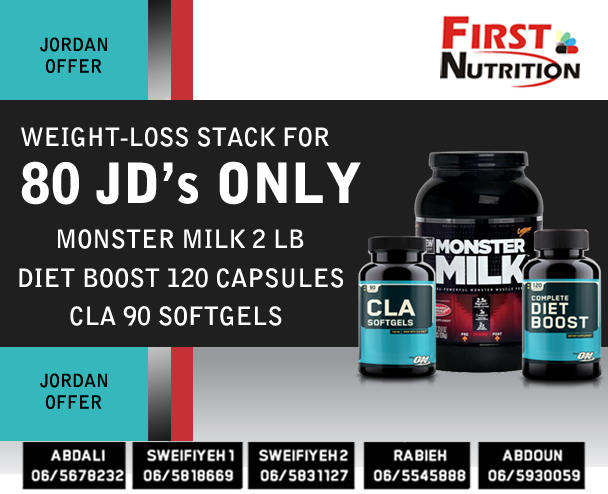 According to the research, the average daily protein recommendation of 0.8 grams per kilogram of body weight works out to around 50 grams a day for normal size adults. Because this represents the minimum amount of protein needed, it was recommended that less active adults get at least 90 grams of protein per day and very active adults aim for a total of 120 grams of protein per day. True Strength Moment: Since we’re all a little different physiologically speaking, this generalized protein benchmark won’t likely produce the same results for everyone. 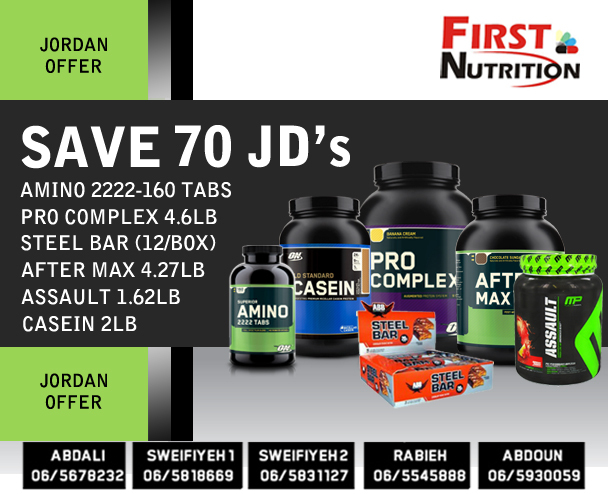 It might be a good starting point for figuring out the best daily amount of protein for your needs. Try it out for a month or two, and adjust as needed to support 2014 goals. High Intensity Interval Training is popular with active adults who appreciate an intense workout even when they’re short on time. The results can equal what you’d get out of a less intense workout lasting twice as long. A study published in the journal Medicine and Science in Sports and Exercise examines what added intensity brings to your game. Researchers had inactive female subjects in their mid-20s engage in high or moderate intensity interval training on a stationary bike. The high intensity workout was performed at 80% to 90% of capacity while moderate cycling was restricted to 60% to 80% of maximum effort. All subjects completed six and ten 60-second sets separated by active low intensity recovery. They trained three times weekly for a total of 12 weeks. Fat oxidation was more dramatically increased with HIIT, but neither group realized significant improvements in body weight, fat reduction or waist circumference. True Strength Moment: The study brief didn’t mention anything about diet, so it’s hard to know what these subjects were eating during the 12-week program. Fat oxidation was increased for both groups, so that’s a positive development. Unfortunately, it only makes a difference if training efforts are complemented by sensible eating. 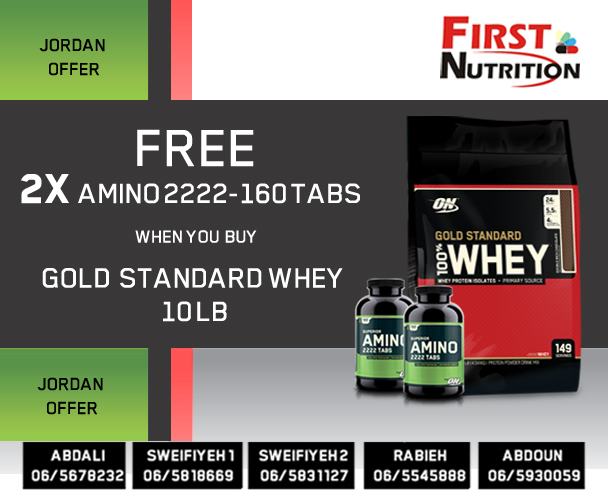 (2 X FREE Amino 160 Tabs) when you buy Whey Gold 10lb. 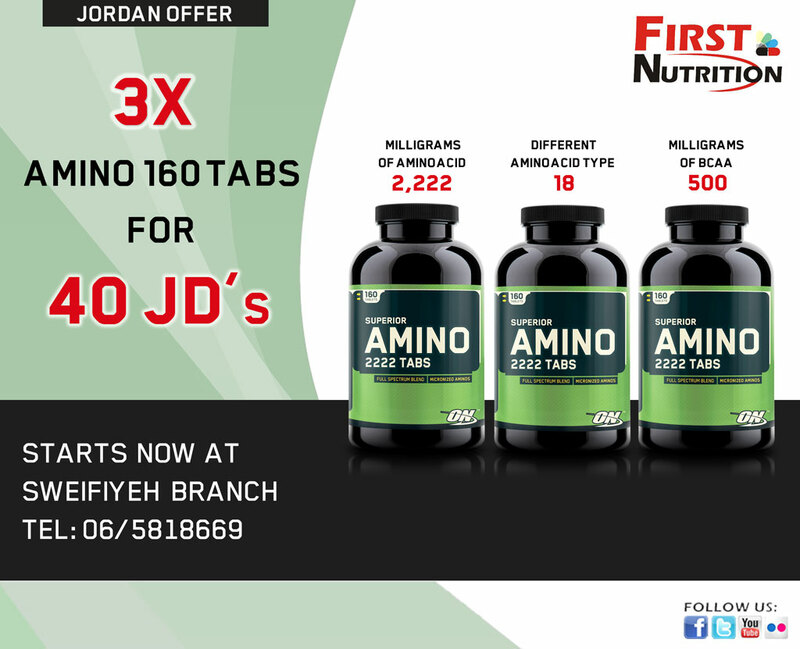 Offer Starts NOW at All branches in Jordan. 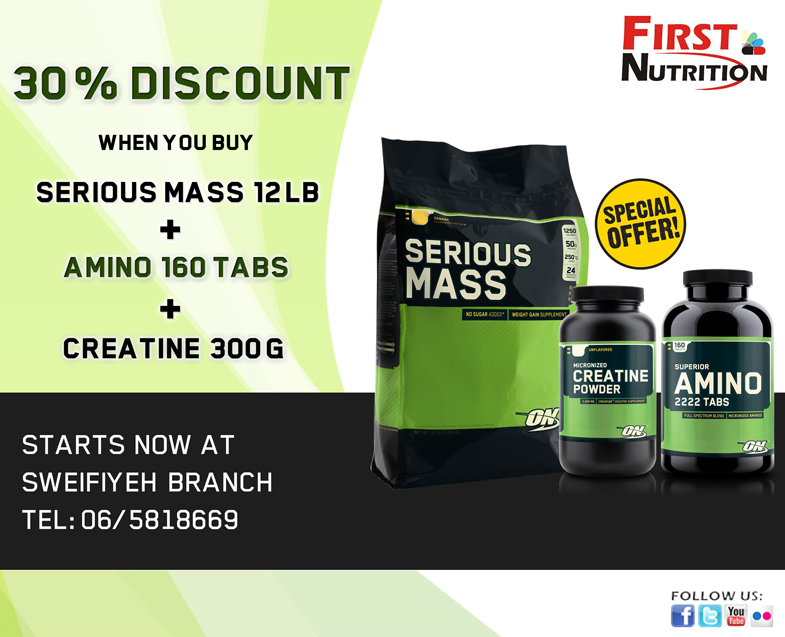 Creatine is an organic acid naturally produced in your body by amino acids. It supplies energy to all cells, especially muscle cells where it increases the formation of ATP. 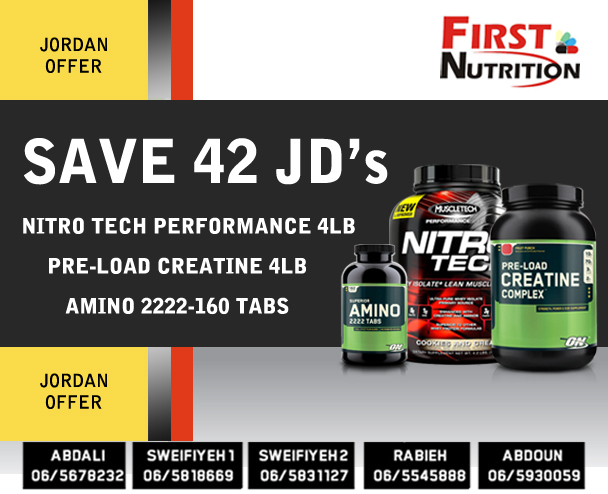 Protein is also composed of amino acids, and a study published in the Journal of the International Society of Sports Nutrition looks at the safety of creatine supplementation while adhering to a high-protein diet. 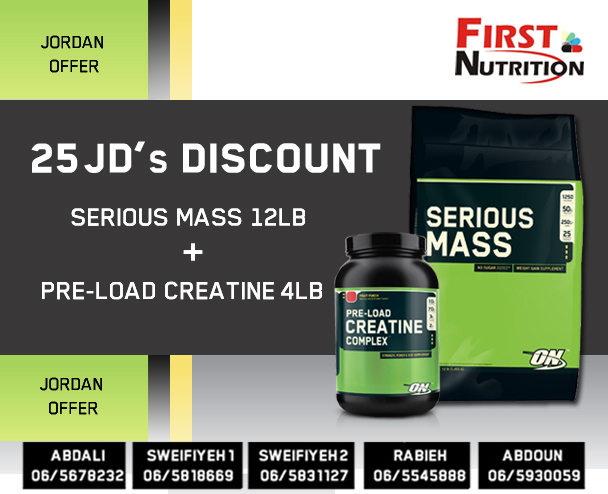 Subjects loaded creatine or a placebo by consuming 20 grams per day for 5 days followed by a 5 gram daily maintenance dose. 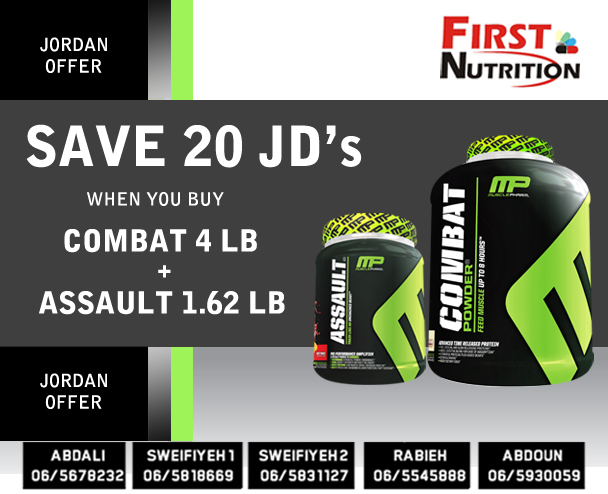 They continued this supplementation routine for 12 weeks while sticking to a high-protein diet. Assessments of kidney function before, during and after the program revealed no significant differences. True Strength Moment: This study adds to a mountain of research conducted over several decades. 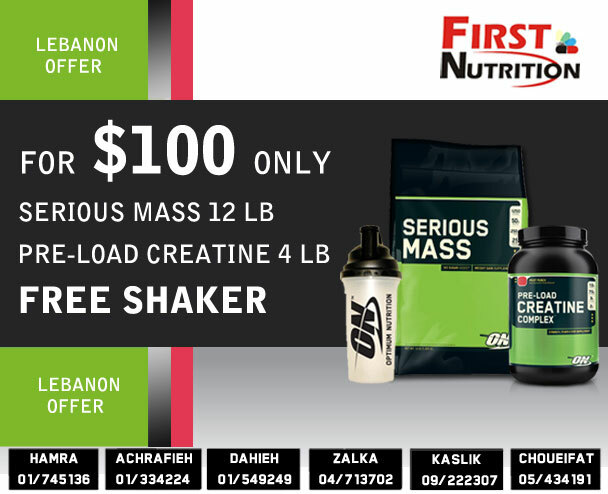 Creatine monohydrate ranks as one of the most studied sports supplements. 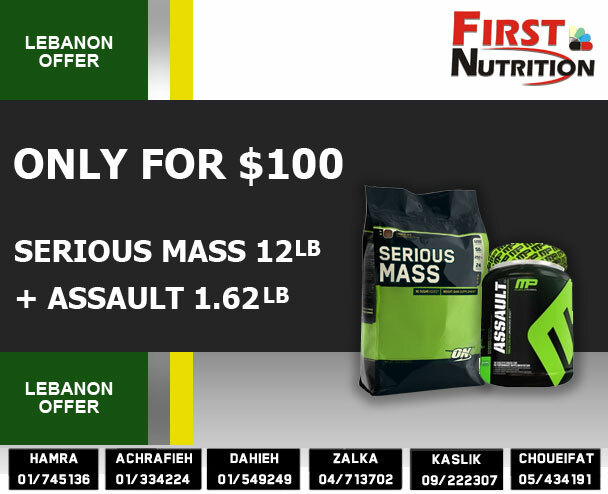 It has consistently been shown to safely enhance muscle size, strength and power while assisting with exercise recovery. There’s at least one type of completion where muscle mass holds back your performance. Even with greater strength and more muscle, sprinters can’t win a distance race against marathon-trained athletes. According to research published in the Proceedings of the National Academy of Sciences, these athletes are separated by a protein called PGC-1alpha. Aerobic endurance-trained effort is fueled by oxygen. 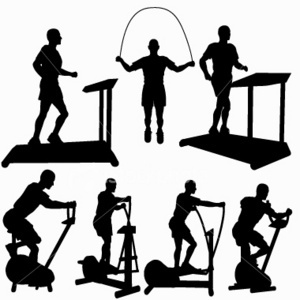 Anaerobic exercises like weight lifting and sprinting let muscle produce energy without oxygen. This leads to the buildup of lactate which results in fatigue. Endurance training stimulates the production of the PGC-1alpha protein which alters enzyme composition to reduce lactate production. True Strength Moment: Both competitive and recreational athletes tend to plan their training around performance in a single sport. This research illustrates the metabolic changes training can produce. Of course, there’s nothing that says a sprinter can do some distance work. Marathoners might have something to gain in the weight room. Rounding our deficits in physical ability won’t hurt your performance. The time you spend sleeping is also the longest your body goes without nutrition. 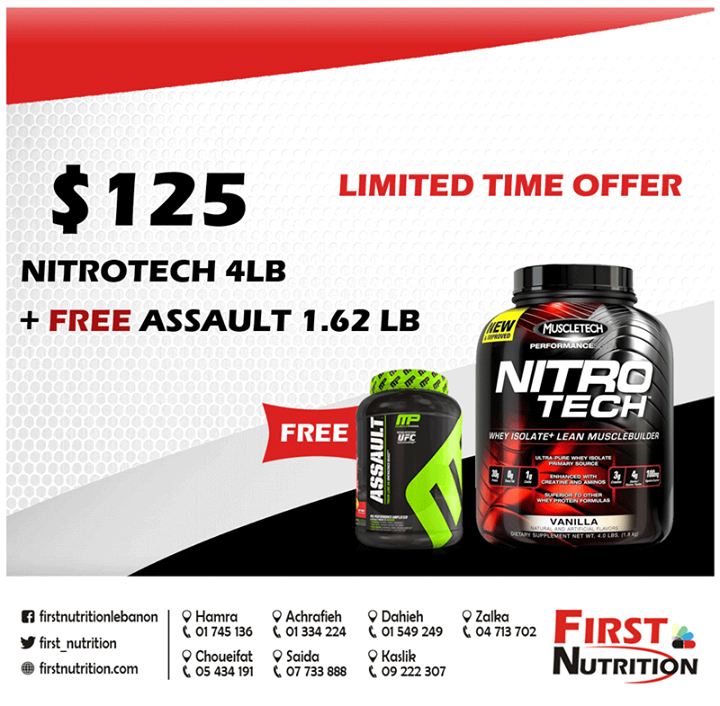 This potentially catabolic situation is best handled with a slow digesting protein before bed and a high-protein meal in the morning to break this fast. Cortisol is a catabolic hormone produced in response to stress, including intense exercise, and it can decrease amino acid uptake by muscle tissue. A study published in the Journal of Strength and Conditioning Research offers tips on controlling morning cortisol levels before competition. Eleven swimmers had their cortisol levels measured upon waking on the day of an actual swim meet, and also on a pre-determined day with no competition scheduled. Although levels weren’t all that different day to day, cortisol tended to increase with feelings of tension and anxiety. True Strength Moment: If you’re facing the best of the best, it’s only natural that you’ll feel some pressure in the build-up to competition. Athletes who train themselves to effectively control their emotions might also be able to dodge any potential side effects that elevated cortisol might add. Winning isn’t all in your head, but it takes more than muscle to succeed at the elite levels of any sport. There’s an old saying about abs being built in the kitchen. Any bodybuilder can tell you that a commitment to clean eating goes well beyond maintaining a beach body 6-pack. Just be careful how much time you invest in food preparation. A study prepared by graduate students at Ohio State’s University of Public Health suggests there’s a tradeoff between time spent in the kitchen the how long you train at the gym. Analyzing data on more than 112,000 adults who responded to the Census Bureau’s American Time Use Survey between 2003 and 2010, researchers determined that the average man spends 17 minutes preparing food and 19 minutes exercising. The average for women was 44 minutes of food preparation compared to 9 minutes of exercise. Every 10 additional minutes of food preparation raised the chance that you’ll decide not to exercise that day by 3%. True Strength Moment: To save time and effort, you can prepare a week’s worth of meals all at one time. Store these small mini-meals in resealable containers or storage bags in your refrigerator before packing a day’s worth into a cooler. This helps eliminate restaurant temptations while leaving you with more time for training. Red muscle is prevalent in athletes who engage in long-duration endurance exercise. The mitochondria rely mostly on fat oxidation to generate ATP for energy. White muscle uses glycogen as the primary fuel source for short but intense bursts of power, which is why this type of muscle is prevalent in sprinters, body builders and weight lifters. True Strength Moment: Although muscle type might play an important role in metabolism, your choice of carbohydrates can have a more immediate impact. To avoid the surge of energy and crash associated with fast-digesting sugary carbohydrates, choose complex carb sources like asparagus, sweet potato, oatmeal and brown rice. Consumed in small quantities at feedings spread every 2 to 3 hours apart, complex carbs can provide sustained energy to those who rely on strength and power. 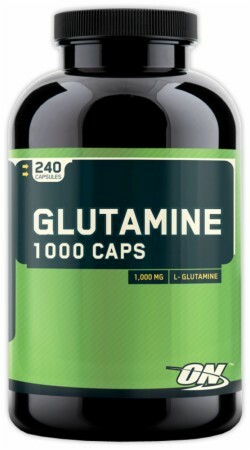 Glutamine also increases muscle volume by drawing water and carbohydrates into muscle cells. Glutamine boosts metabolism and fat burning. Not only does it increase fat burning when taken before and during exercise, it also boosts your resting metabolic rate. 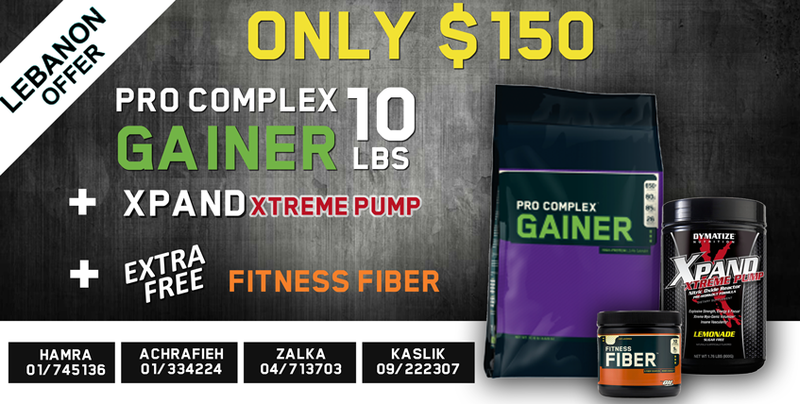 Glutamine’s effect on immune function helps you stay healthy so you do not miss workouts. 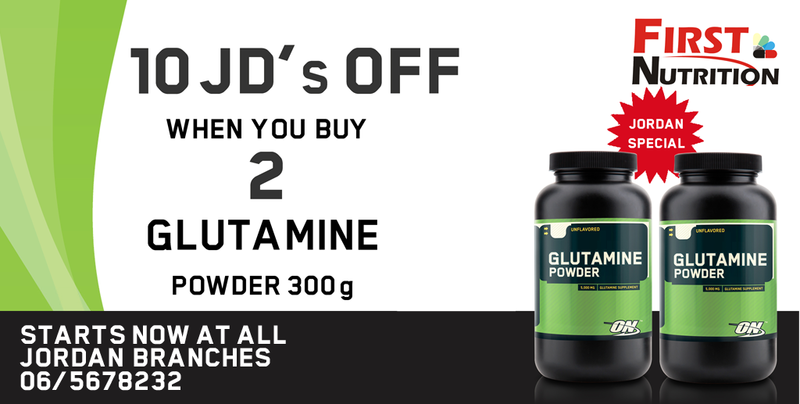 By improving muscle recovery, glutamine allows you to hit the gym more frequently with less muscle soreness. Taking even small amounts of L-glutamine increases the secretion of growth hormone, which is a potent fat burning substance. 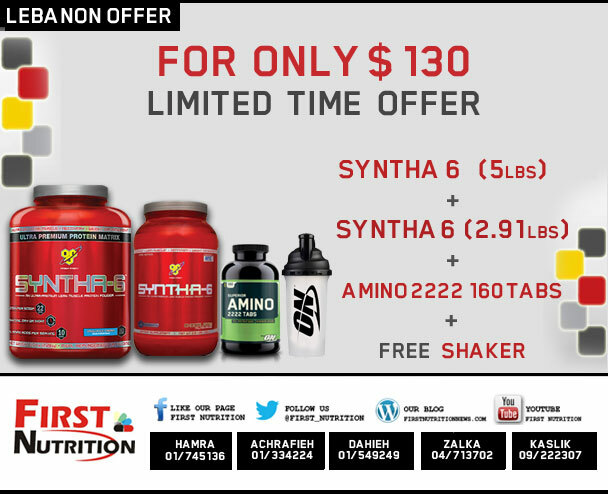 If your idea of cardio day is an hour-long jog or bike ride, a study published in The American Journal of Clinical Nutrition suggests supplementing with the Branched Chain Amino Acid (BCAA) leucine and other Essential Amino Acids (EAAs) can increase your body’s protein synthesis response during the recovery phase. Researchers had 8 healthy adults cycle on a stationary bike for an hour at 60% of maximum capacity. All received a drink containing 10 grams of EAAs. Some contained 3.5 grams of leucine while others had only 1.87 grams of leucine. The increased concentration helped subjects realize a greater degree of protein synthesis during recovery. 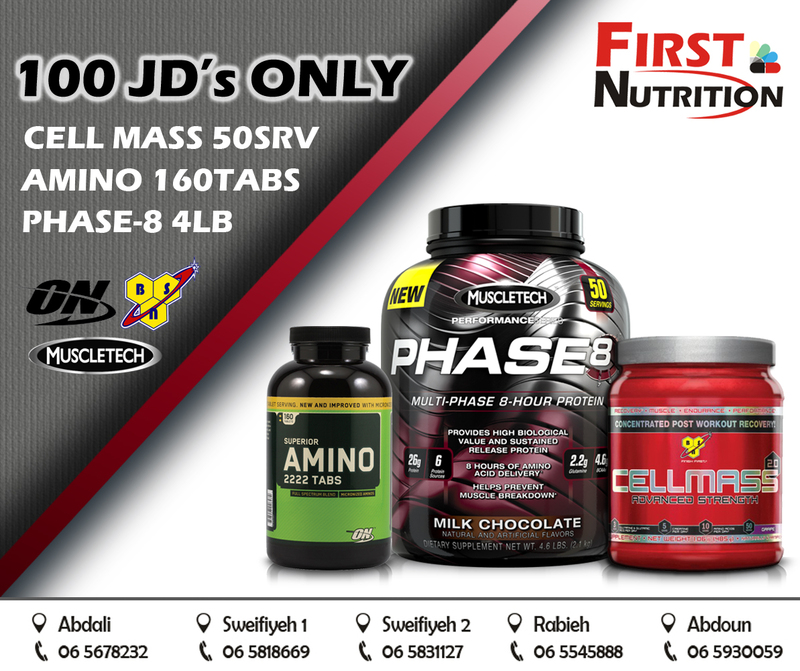 True Strength Moment: Protein synthesis is one of the key mechanisms involved in building muscle size and strength. While all of the EAAs have a role in fueling this process, this study puts the BCAA leucine in the spotlight. 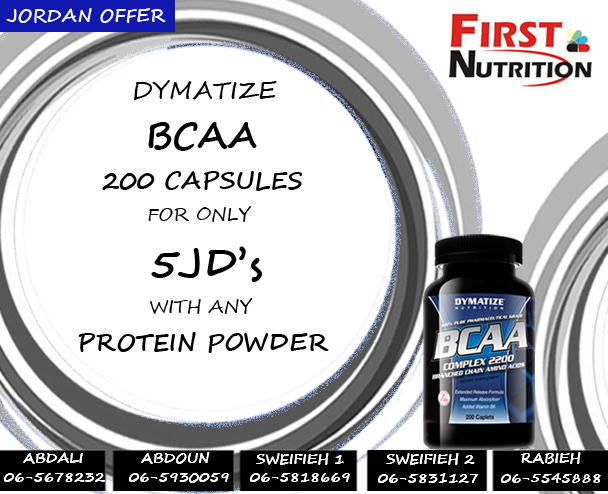 A number of ON products offer BCAAs in a 2:1:1 ratio of leucine to isoleucine and valine. 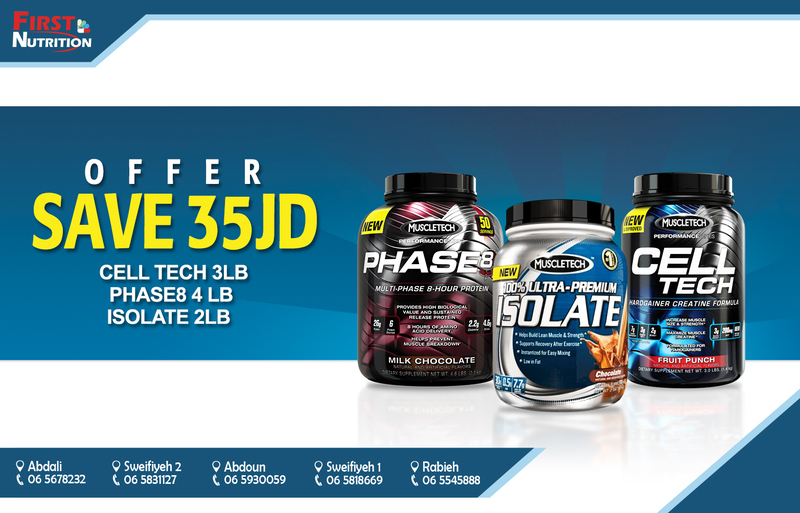 The New NitroTech Performance Whey Isolate is Now available at all Branches in Lebanon. 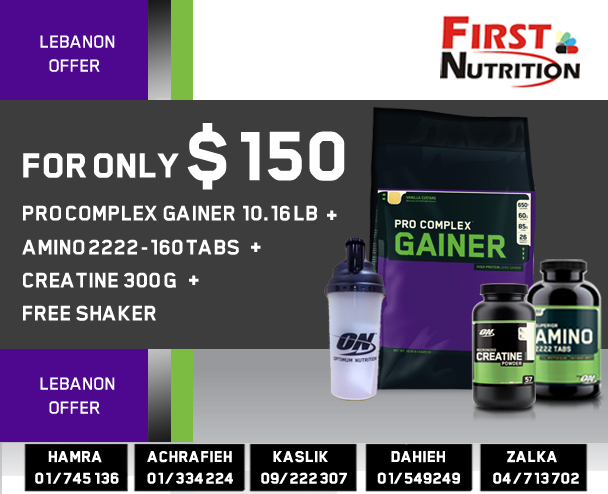 The Most Advanced Protein Powder Ever Developed, 30 Grams Protein, 0 Grams trans Fat, 3 Gram Creatine, Packed With Amino Acids and Digestive Enzymes. Whether you were one of those kids who never ate your vegetables, or have become convinced as an adult that carbohydrate foods make you fat, there’s a lot to like about regular vegetable consumption — especially for active adults who are working hard to diet down for swimsuit season. Most garden vegetables are naturally low in calories and typically don’t contain a lot of sugar or fat either. Even though vegetables aren’t considered energy dense, most contain abundant amounts of micronutrients in the form of vitamins and minerals which can help your body more effectively process protein, carbs and fat. In addition, vegetables tend to contain lot of dietary fiber and digesting all this bulky food forces your body to burn more calories. This quality makes fresh vegetables and excellent choice for any dieter, as long as you hold the salad dressing and other condiments to a minimum. Most strength athletes focus their carbohydrate consumption on complex carbs like oatmeal, brown rice, whole grain bread and sweet potatoes. Broaden your selection to include broccoli, green beans and a colorful assortment of raw vegetables for salads, and you’ll benefit from low calorie nutrients along with plenty of filling fiber. Among the many benefits of exercise is the way it helps you beat stress. But does that mean people who make a point of staying fit can handle stressful situations better? A study published in the journal Medicine and Science in Sports and Exercise suggests there may be some truth to that assumption. Researchers assigned 8 subjects with a below average level of fitness and 8 very fit subjects to cycle on a stationary bike for 37 minutes at 60% of capacity. For the next trial, these same volunteers were given complex metal problems to solve while cycling for 20 minutes. Not only did the dual task increase anxiety for the less fit subjects, compared to their in-shape counterparts they produced greater amounts of the catabolic hormone cortisol. True Strength Moment: Why are active adults who exercise regularly better able to handle difficult situations? These are the kind of people who are used to setting and achieving ambitious goals, so that could be a factor. Whatever the reason, their hormonal response to exercise makes it easier to recover and come back for more. Pretty much anyone who’s into endurance exercise realizes the value of carbohydrate energy. But like strength athletes and their protein, there’s always the question of how much and what type produce optimal results. A study published in the journal Medicine and Science in Sports and Exerciseput different amounts of different carbs to the test using 51 cyclists and triathletes. Trials started out with a 2-hour ride at 95% of capacity and finished up with a 20 km time trial. Subjects were told to post the fastest time possible. Carbohydrate drinks contained equal parts glucose, fructose and maltodextrin. Over 160 minutes of performance, researchers estimated that the optimal rate of consumption was 78 grams for every hour of effort. True Strength Moment: To help your muscles recover from a cycling event like this one, you might consider ‘stacking’ that carbohydrate performance beverage with powdered protein. 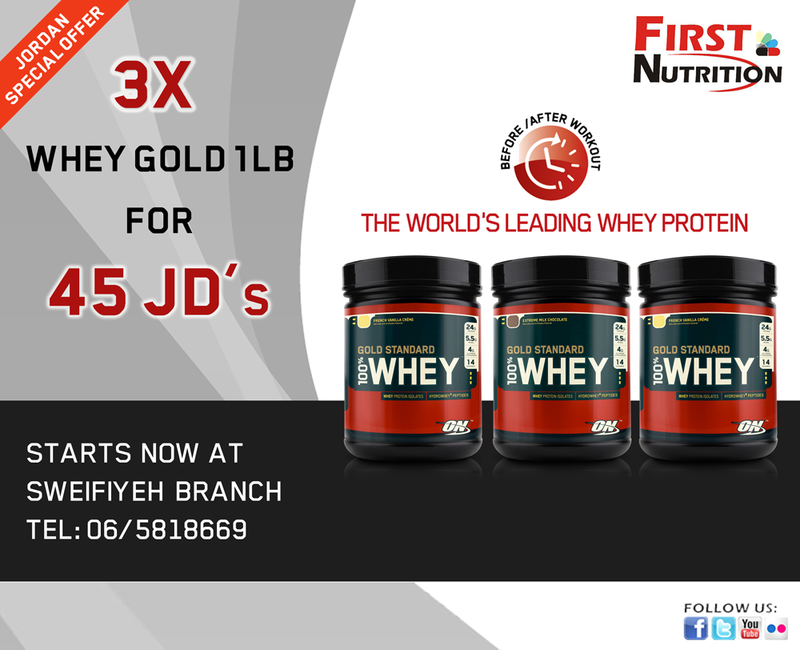 The relatively high BCAA concentration found in whey could help minimize the breakdown of muscle tissue during intense exercise. Increase Training Intensity – Changing the look of your body requires more than fat loss. Developing muscle mass will play an important role in attaining this goal. To help the process along, try increasing your training intensity. This can be accomplished by adding more weight to the barbell or dumbbells, spending less time resting between sets or doing more reps.
Eat the Right Amount of Macronutrients — Your kitchen based efforts to lose fat and gain muscle will have to go well beyond cutting calories. It’s vital to eat the right amount of protein, carbs and fats. Getting enough protein (at least one gram for each pound of body weight) helps active adults recover from weight training. Balancing carbs and fats is also important for fueling exercise performance. Sticking to a low fat diet will allow for a moderate amount of complex carbohydrates. Using Cardio Correctly – Adding moderate amounts of cardiovascular effort to your training program will help to reduce body fat, but it’s important not to overdo the cardio. Too much time on the treadmill or stationary bike can work against your efforts to build muscle. A good starting point is 3-4 days a week, beginning with 20-30 minute sessions. 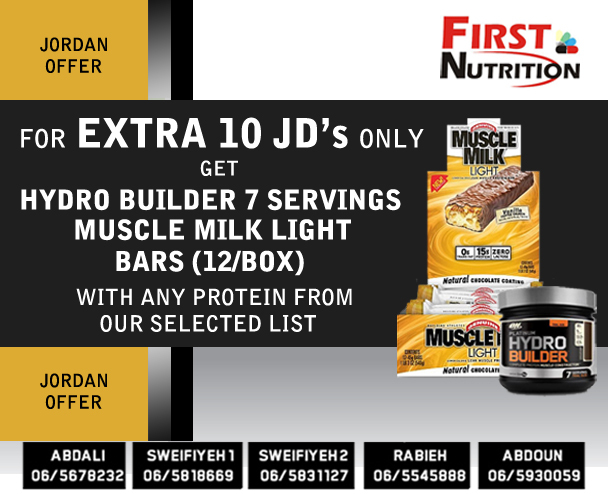 Delicious Oh Yeah RTDs and Bars Available at All Lebanon Branches. 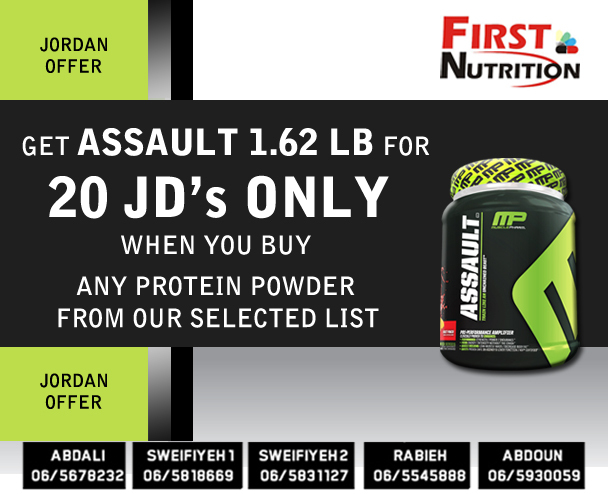 There’s always been a lot of confusion about which protein to use, how much and when. The December edition of the Journal of the International Society of Sports Nutrition published a review of studies to determine the validity of previous research. The conclusions outlined here should be of interest to anyone with a goal of developing muscle hypertrophy (size) and strength. 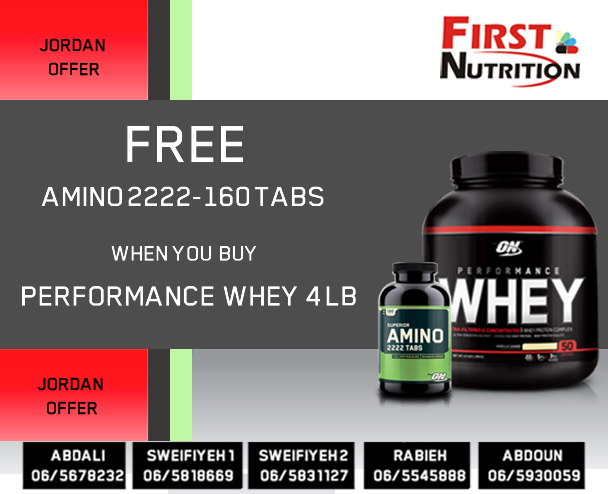 The research suggests weight lifters interested in building muscle size should try to consume 1.2 to 2.0 grams of protein per kg of body weight per day. 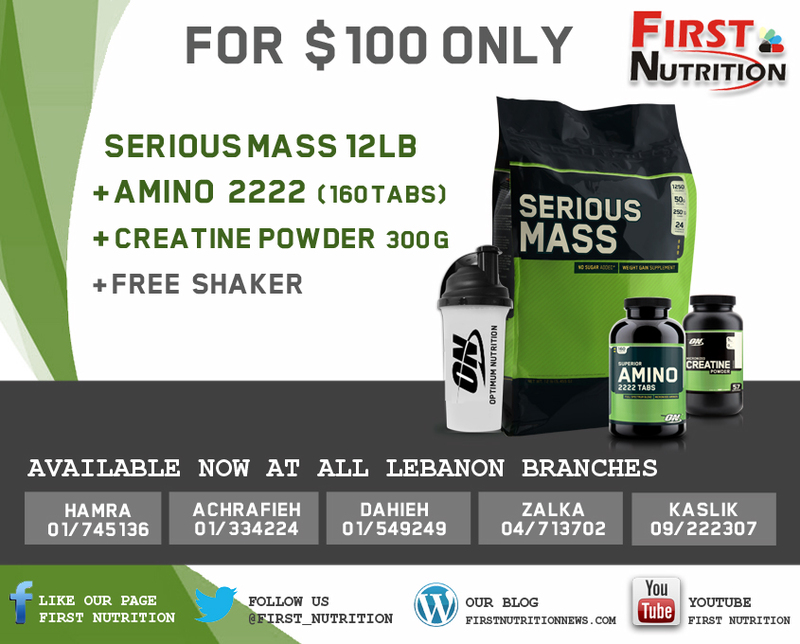 Since 1 kg equals 2.2 pounds, 1 gram per pound of body weight is about right for the upper end of this recommendation. You should also try to consume 44 to 50 calories per kg of body weight per day, which works out to 20 to 23 calories per pound. 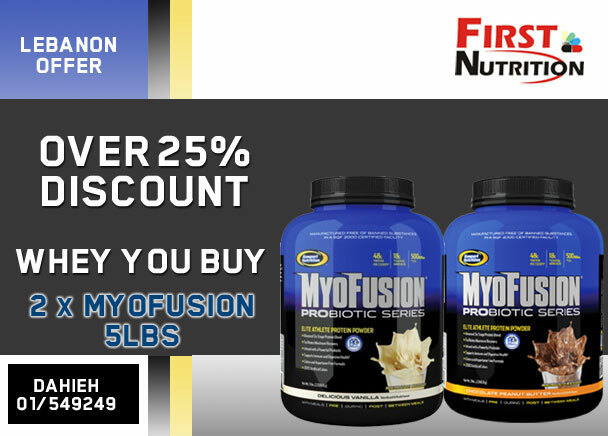 Whether you choose to drink a protein shake pre- or post-workout, the study suggests you can expect increased physical performance, recovery, muscle mass and strength. 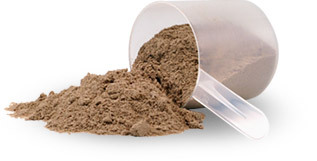 When choosing a protein, make sure each serving includes 3 to 4 grams of the BCCA leucine to promote protein synthesis. 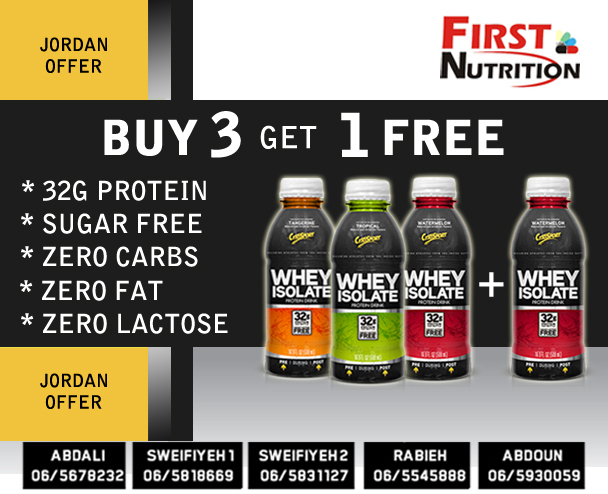 A quality whey shake should meet that need, and combining it with a fast-digesting carb like glucose or maltodextrin helps modulate protein synthesis. 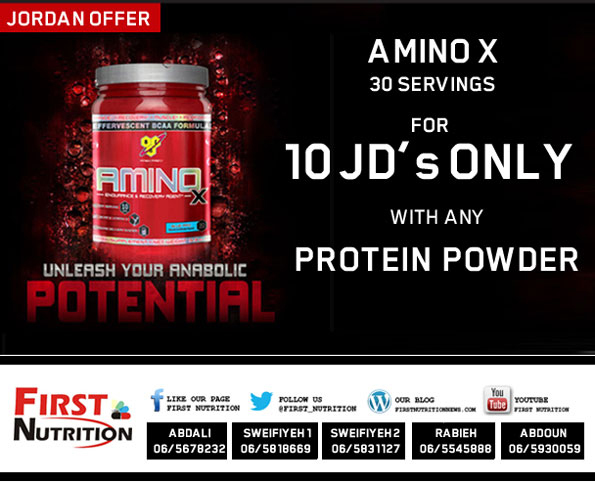 Essential amino acids and dextrose work best when consumed pre-workout. 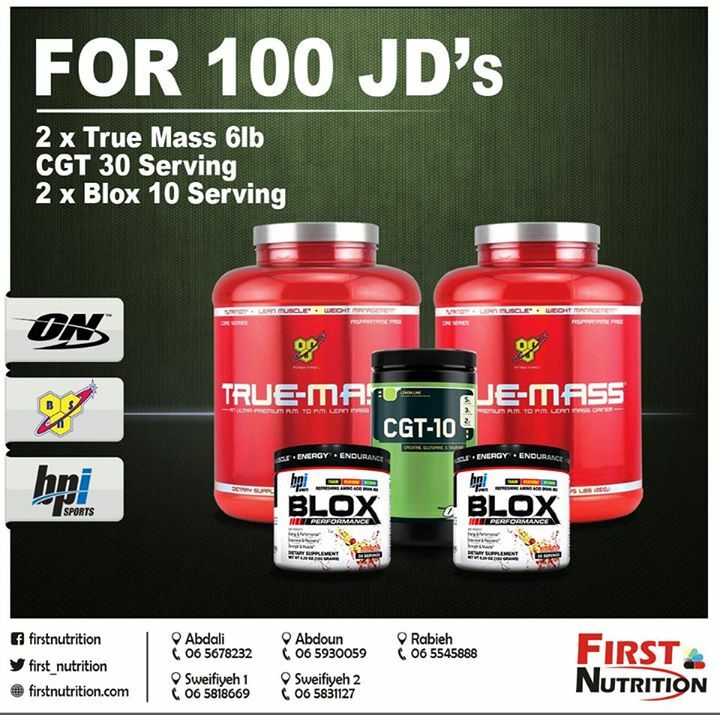 True Strength Moment: Now that you have a better idea of what nutrition support to use and when, the research concludes with a recommendation for experienced lifters looking to enhance muscle size and strength: Plan a weight training routine lasting at least 10 to 12 weeks around compound movements for both upper and lower body. A lot of bodybuilders have tried prohormones, hoping to find a legal and effective way of increasing their testosterone levels. 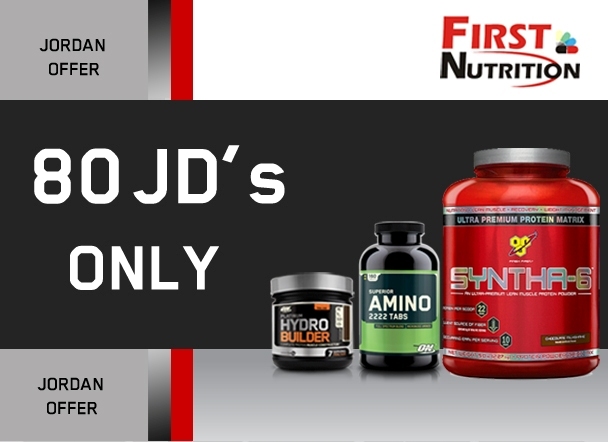 However, new research has surfaced indicating that prohormones may not be the best choice for athletes looking to enhance their anabolic hormone levels and muscle strength, since there are many side-effects associated with prohormone supplementation. 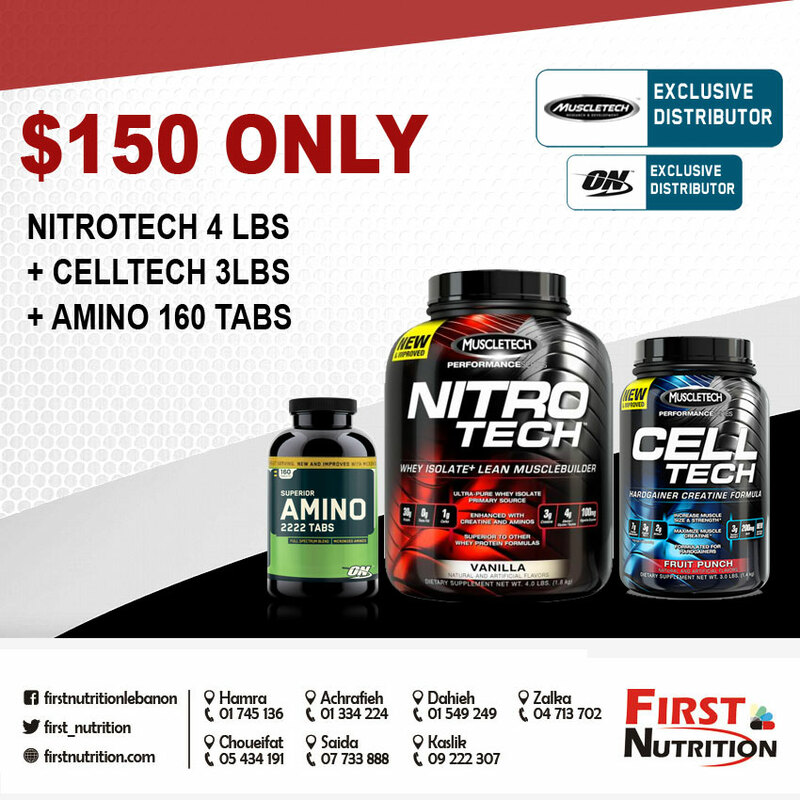 In fact, there is an amazingly effective new sports performance product called ZMA(a precise combination of zinc and magnesium) that has been clinically proven to significantly increase both anabolic hormone levels and muscle strength in trained athletes. Zinc, magnesium and vitamin B-6 are all involved in metabolic processes of the body, and play a vital role in protein synthesis. 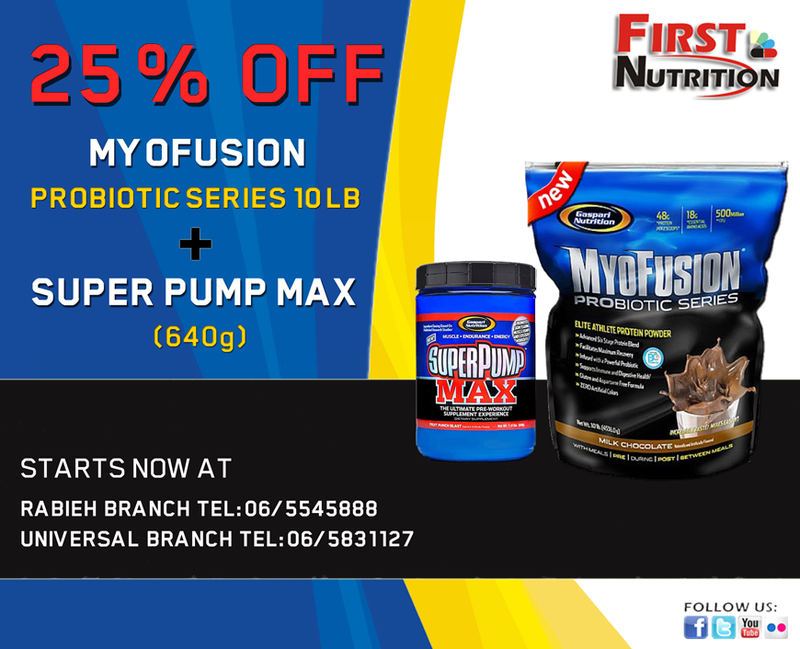 During exercise these nutrients are lost, either through perspiration or metabolism. 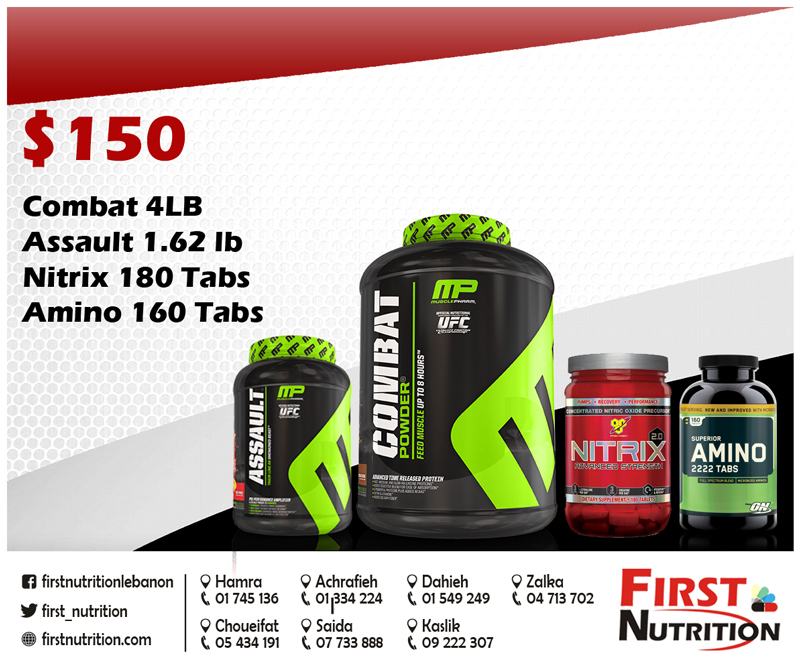 The function of ZMA supplementation then, is to replace these nutrients which, in turn, may facilitate a number of processes that may improve athletic performance. ZMA is a very effective sleep aid and is recommended to be taken 30-60 minutes before bedtime. Many athletes fail to realize how important it is to get a deep and restful sleep. Healing, tissue repair, anabolic hormone production and muscle growth are maximized during sleep, so quality sleep is extremely important to athletes. 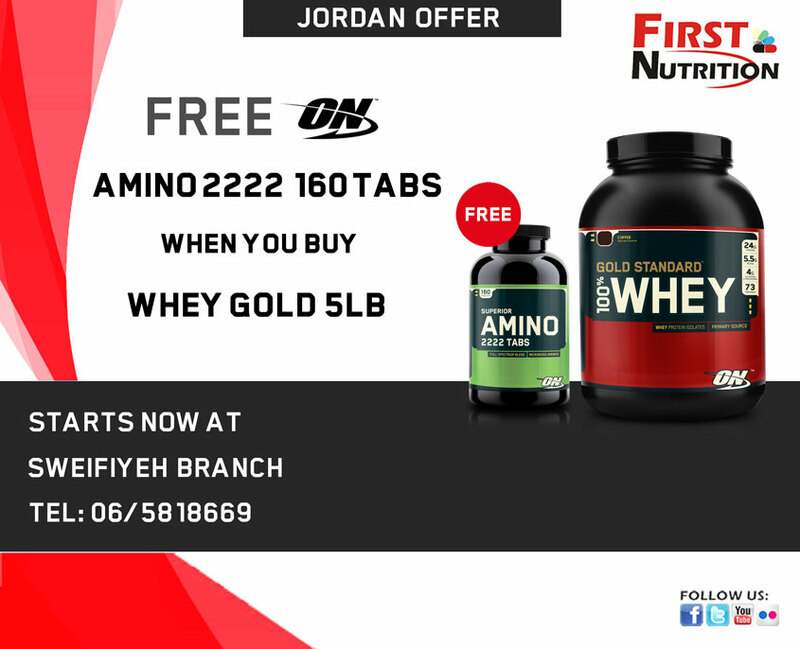 Optimum Nutrition Special Offer: Buy “Whey Gold 2lb + Pro Complex 2.3lb” & Get “Whey Gold 1lb + Amino Chewables + Fitness Fiber” for FREE. 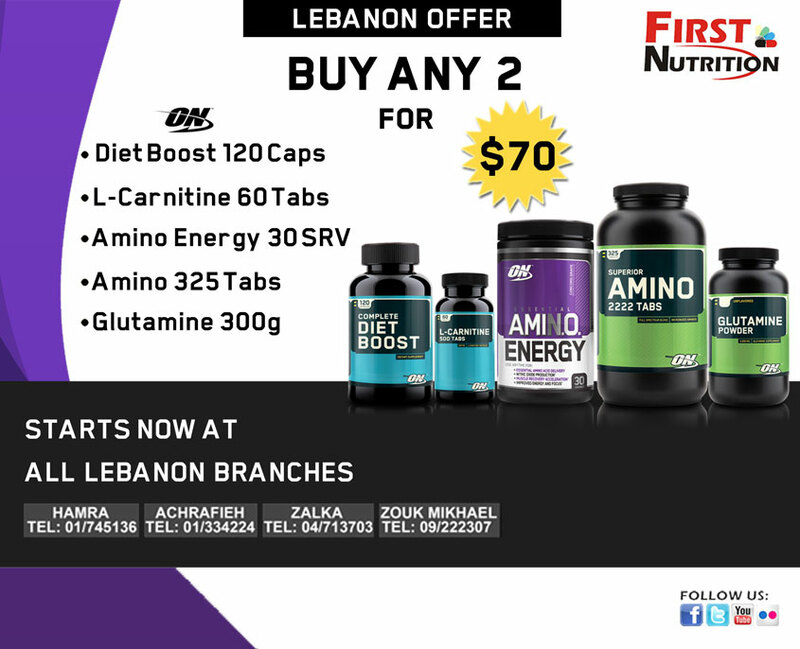 Limited Time Offer this December at all Lebanon Branches. 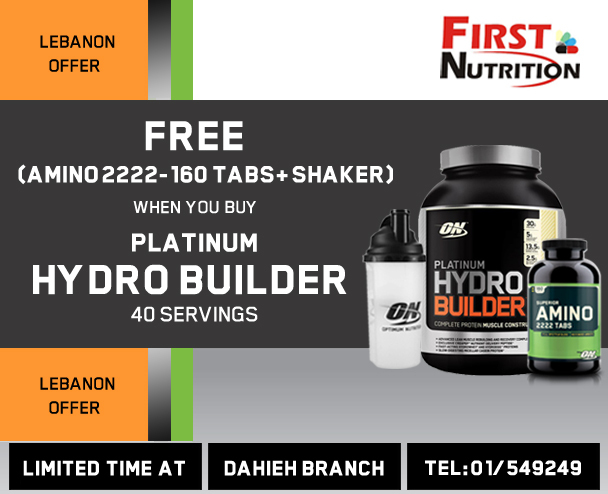 Betaine was included in Platinum Hydrobuilder, ON’s all-in-one muscle recovery formula, because regular use can promote exercise performance. A recent study published in the Journal of Physiology illustrated this point using lab rats supplemented with and without beetroot juice, which is a rich source of dietary nitrate, magnesium, potassium, vitamin C and betaine. For 5 days, some rodents drank water with beetroot juice added while others drank plain tap water. A 20 minute treadmill run at a 5% incline showed supplemented rats had improved blood flow to fast twitch Type II muscles. Boosting blood and oxygen delivery to muscles improved exercise performance. 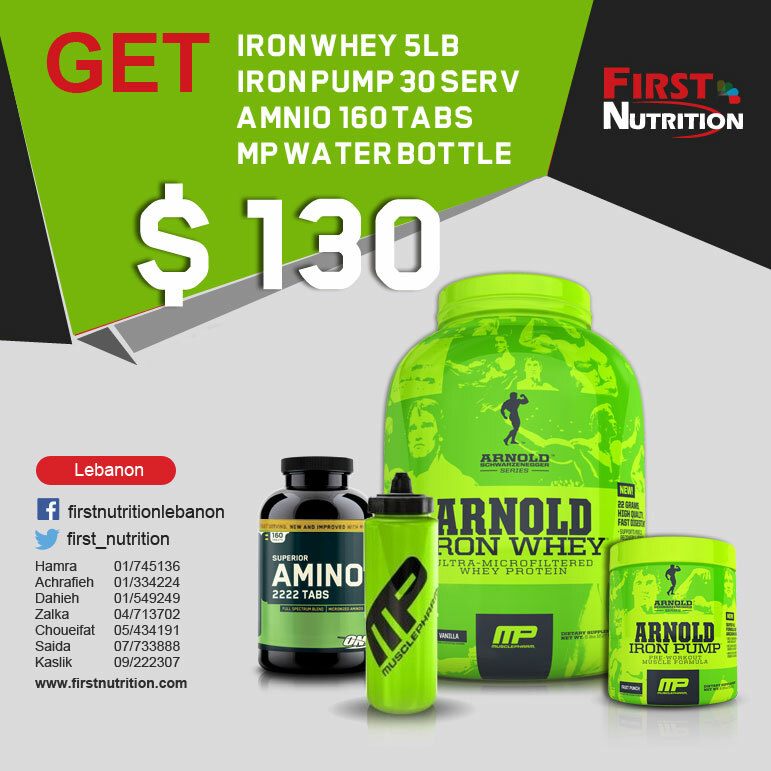 True Strength Moment: Improving blood flow to Type II muscle fibers can benefit both aerobic and anaerobic forms of exercise since IIb intermediate fast twitch fibers can use either metabolism to power your training. The mammalian target of rapamycin, more commonly known as mTOR, plays an important role in regulating cell growth and protein synthesis. mTOR Complex 1 (mTORC1) is the part of this function responsible for integrating nutrient, growth factor and energy input. The BCAA leucine has a reputation for stimulating protein synthesis, and it’s a key modulator of mTORC1. A recent study published in the journal Amino Acids suggests that glutamine can activate mTORC1 independent of leucine. 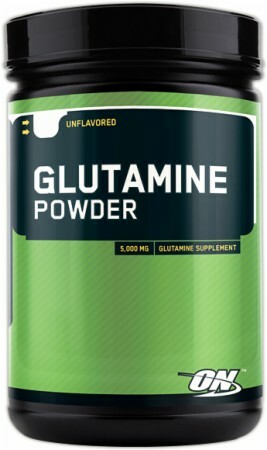 As the most abundant amino acid in muscle, many strength athletes supplement with glutamine to aid the recovery process. 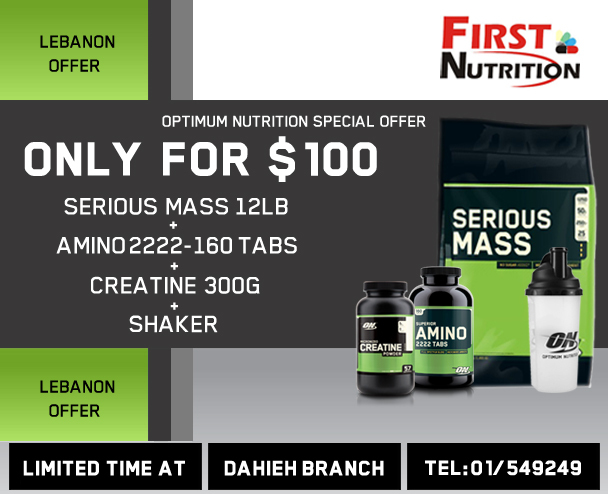 It’s a conditionally essential amino acid, so when levels are depleted through intense physical effort your body may not be able to completely replace these aminos quickly enough. If you’re elevating the intensity of your workout for a bulking phase or competition preparation, adding 5 grams of L-glutamine to your post-workout shake might help take your recovery to the next level. 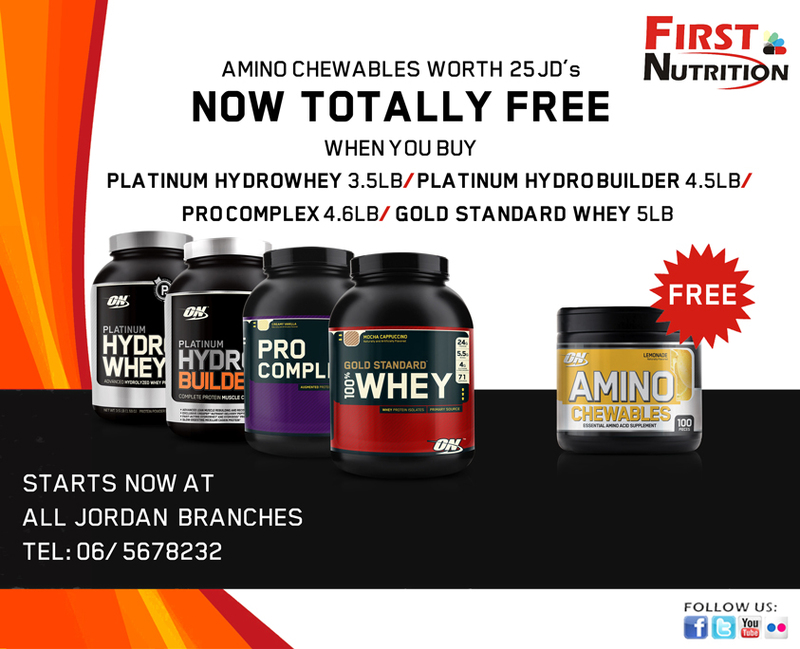 FREE Optimum “Amino Chewables” When You Buy any of: HydroWhey 3.5lb, HydroBuilder 4.5lb, ProComplex 4.6lb, Whey Gold 5lb. 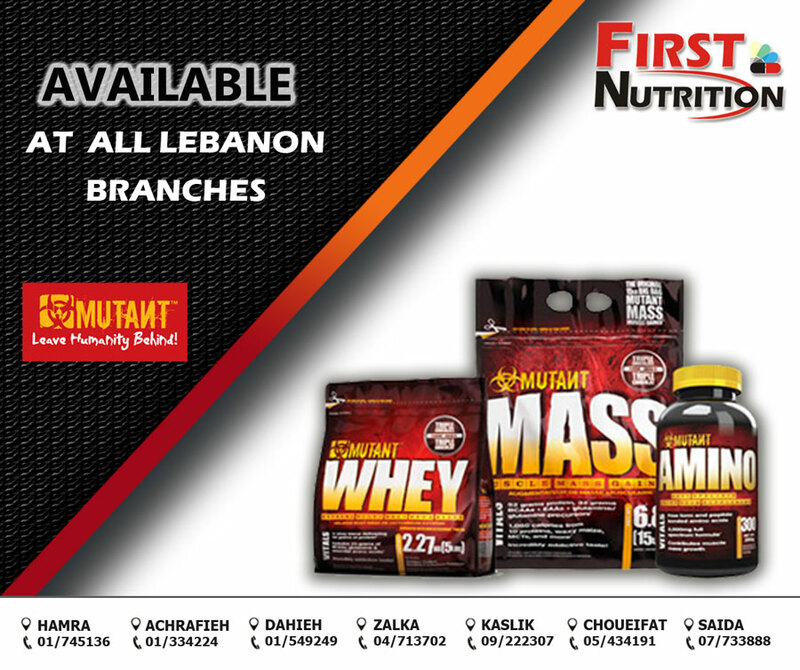 Available at All Branches in Jordan. 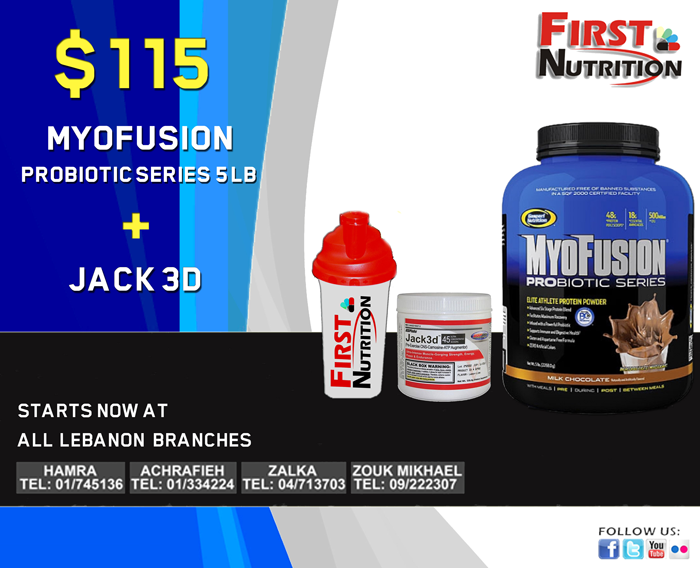 $115 Only Myofusion 5lb “Probiotic” + Jack3D + Shaker. 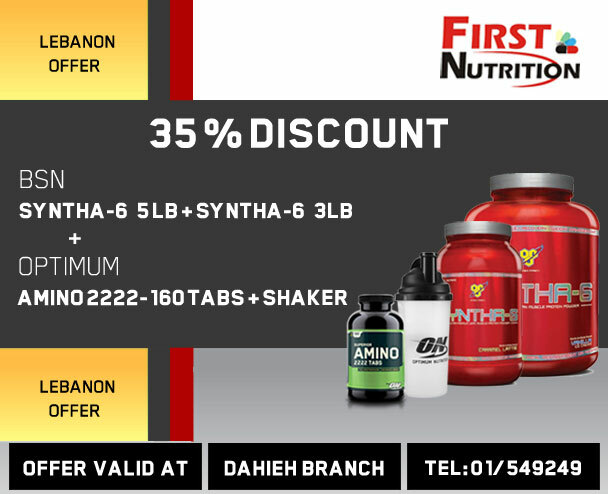 Limited Time Offer at All First Nutrition Branches in Lebanon.